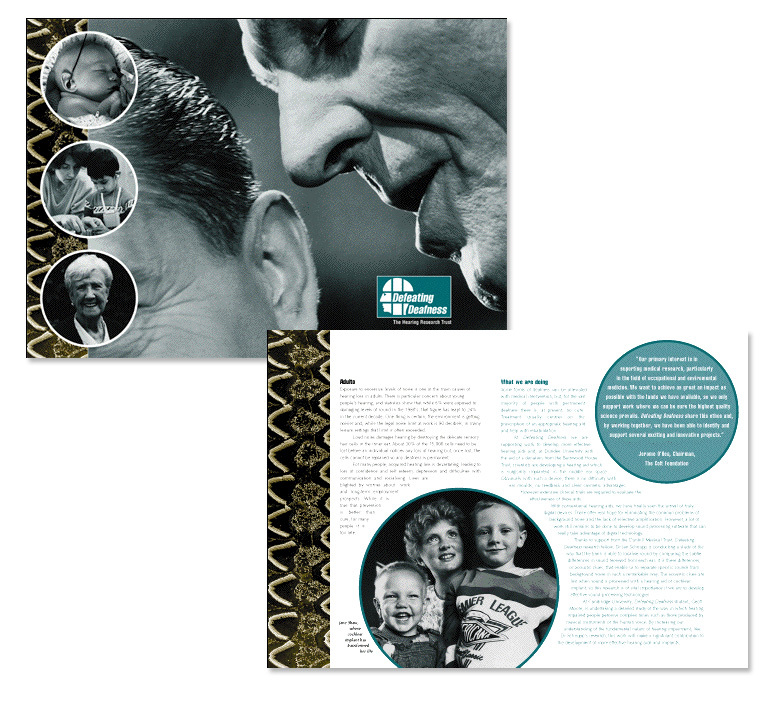 Sound is difficult to show pictorially, so a relevant cover for the Defeating Deafness Annual Review was a challenge. We developed a scheme for the review that drew on the challenges faced by deaf people at each stage in their life - as infants, children, adults and in retirement. The main (large) cover picture was controversial within the deaf community with its emphasis upon speech as deaf politics tend to highlight communication alternatives, eg sign language.